Plan to attend classes during your evaluation at National Jewish Health. The patient education classes are free for patients and family members. Patient Education classes meet in the Patient Education Room A01b. The classroom is located in the basement across the hall from the main elevator. This is a class to help people with lung disease be more productive and more satisfied with daily living. Everyday tasks including self-care, household chores, hobbies, and work can be made easier. Energy management, proper breathing and simplifying work can help. This class will review the exercise prescription. The benefits of aerobic exercises and how to overcome obstacles that may affect your exercise program will also be discussed. This class will discuss common feelings and issues when diagnosed with a chronic disease including lifestyle changes, emotional effects, self identity changes, & other psychosocial changes. This class will provide resources for living with a chronic disease and help manage this stage of life. This is a class for people with sleep apnea. The class will review the pathopysiology and symptoms of sleep apnea, as well as problems if left untreated. Treatment options, emphasizing CPAP therapy and tips/tricks for CPAP success will be discussed. 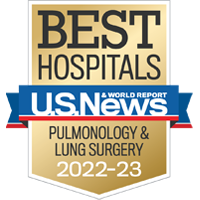 The benefits of oxygen therapy for people with chronic lung disease will be reviewed. Current oxygen equipment to enhance your quality of life, including traveling with oxygen will also be discussed. What should you know if you have osteoporosis? Learn what risk factors are and how to manage osteoporosis with diet, exercise and medication. Correct medication technique is important. Techniques to inhale medication correctly will be discussed and demonstrated in this class. Respiratory medications and common side effects will be reviewed. This class discusses guidelines for optimal nutrition with chronic lung disease. Issues covered include special nutritional needs related to steroid therapy and chronic infection, weight control, bone health, and tips for using nutrition to enhance health. This class discusses current nutrition guidelines for heart health, high cholesterol, high triglycerides, high blood pressure and anyone interested in heart health and their families. Topics covered include: lipid values, heart healthy foods and lowering cholesterol, triglycerides & blood pressure with diet. The meetings will include an educational presentation (a different topic each meeting), followed by open discussion of any topic. There are a variety of antibiotics that are used to treat mycobacterial disease. These medications and common side-effects will be discussed in this class. This class provides an overview of insomnia and treatment strategies. Lung cancer patients and survivors and their caregivers and family members are invited to attend. The meetings will include a 30-minute educational presentation (a different topic each meeting), followed by open discussion of any topic. The group is open to people who have received treatment at National Jewish Health and elsewhere. Elizabeth Langhoff, LCSW, at 303.270.2743 or send an email at langhoffe@njhealth.org. Contact OlandA@NJHealth.org or 303.398.1516 for initial group intake and more information. A monthly open discussion Support Group for individuals with any chronic medical conditions. The group is open to the public and welcomes patients from outside of National Jewish Health and patients treated by National Jewish Health physicians. Focus, at times, may center around respiratory, diabetes, cardiac, rheumatology, and GI diagnoses because of patient population at National Jewish Health. However, all diagnoses are welcome. For more information or to receive the monthly reminder email, please call Elizabeth Langhoff, LCSW at 303.270.2743. This class describes human sexuality and the normal response to a sexual stimulus. Normal changes related to aging and problems related to chronic disease and respiratory conditions will be reviewed. Strategies to improve intimacy and sexual functioning will be discussed. You will learn to identify how muscle tension and mental stress disrupt the breathing process. You will learn various techniques to assist in the relaxation process. These include diaphragmatic breathing, progressive muscle relaxation, visualization skills, and the therapeutic use of hobbies. If you're just thinking about giving up smoking or ready to set a quit date, this class is for you. This is an informative class that follows along with the Understanding Giving Up Smoking booklet. It will provide you with helpful, practical tools as you prepare to give up smoking. 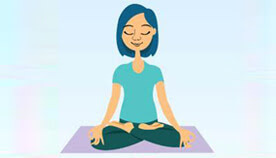 While many people find it difficult to meditate, guided meditations make it easy for anyone to practice. Whether you meditate regularly or are new to the practice and wish to get started, guided meditations provide a way to effortlessly enter into a meditative state by the direction of an expert. The session will be led by Lata Shirname-More, Manager, Div of Environmental Occupational Health Sciences, who has been a meditator for over 15 years and teaching it as a volunteer & certified instructor, through the Art of Living Foundation, which operates in 154 countries. No preparation or training required; the voice of the teacher will lead you.